Home Health What’s In A Beverage? Whatever discomforts the traditional world possessed, we could at least say that everyone in those societies consumed food. Just think back to one century ago: before there were foods that stayed on shelves for months or even years, before we made our decisions to eat or to purge based on expiration dates—the days when we typically ate what we farmed and farmed what we ate. Fast forward to today when we don’t drink milk from cows but milk that vows to be rich with calcium, low in fat, or free from lactose. If we live in cities, much of our food and drink is presented to us in concealed packages. The content itself hidden by plastic and cardboard, what we actually see are descriptions—dressed up in fancy fonts, bright colors, and photo-shopped pictures—of what is promised. When in partial or full view, the fruits are spray-painted, the bags dyed, or the ground beef colored to depict vibrant hues, the way a replica so resembles the original, that we do not notice the discrepancy. So busy with our modern lives, from one meeting or conference or viral video to the next, we never stop to ask the basic questions about the basic processes of life, about what we consume daily. What’s in our food? What’s in a beverage, anyway? Naturally, there are drinks and there are beverages. Water is the world’s most consumed drink, while tea is the second. Traditionally, drinks contain no additives: fruit juices made from fruits, vegetable juices made from vegetables, coconut water, milk, beer, wine, coffee, cider and spirits are all drinks. We are told that a beverage is a liquid intended for human consumption, but really it’s the label that multinational companies use to convince us to fill our bodies with mysterious liquids that are not natural fluids. Masters of semantics, the capitalists say that technically, a beverage is suitable for drinking. But, to be sure, our grandmothers and grandfathers would disagree. Soda, “juice,” and sports drinks are most certainly “beverages,” concoctions that nature never intended for human consumption, although capitalists did. 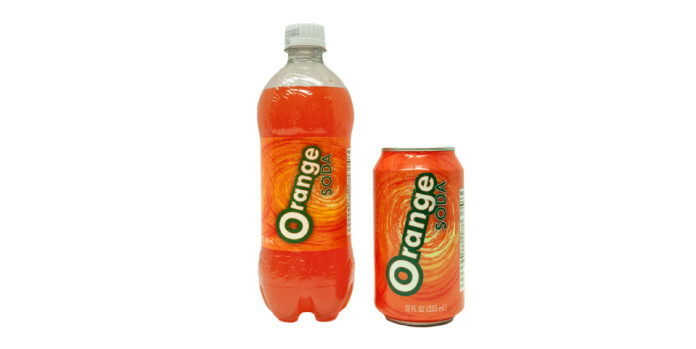 Take, for example, your typical orange soda. On the label, the word “orange” is written; there’s even a picture of an orange slice. All of my senses—sight, smell, taste—tell me it is an orange, although in my hands, it feels nothing like the rough surface of the orange’s dimpled skin. Rigid in texture, it is merely a plastic bottle of 270 calories and 71 grams of sugar topped with a screw cap. When I get to the ingredients, I stumble: carbonated water, high fructose corn syrup, citric acid, sodium benzoate, acacia gum, “natural flavors,” ester gum, yellow 6, salt, brominated soybean oil, and red 40. Of these ingredients, I recognize only one that my grandmother used as a child: salt. For the others, I have to consult a dictionary to unearth the meaning. However, I am only reassured of one ingredient that has African roots. Derived from the sap of the African acacia tree, acacia gum is aged or dried for one year, then processed into a spray-dried powder. Though in its natural form the gum emerges almost exclusively from sub-Saharan Africa, still worrying, pharmaceutical companies have since manufactured a synthetic replica product. Soda has been linked to a number of health problems. 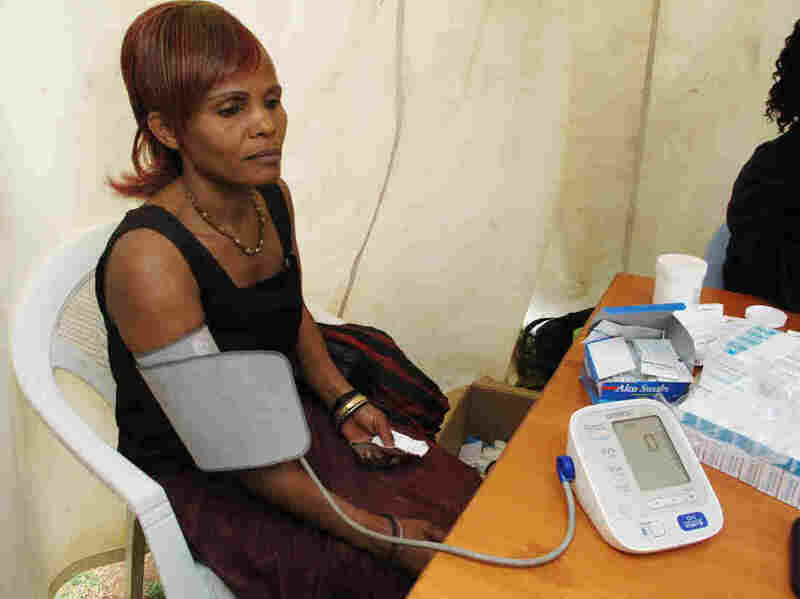 Here, a woman undergoes a blood pressure check. The water contained in soda is unnatural, a carbonated water, which has carbon dioxide dissolved into it. Ester gum, a wood rosin, received a negative safety opinion from the European Food Safety Authority. What’s more, preservatives and artificial sweeteners are manufactured chemicals that are prone to causing debilitating diseases. From the preservative chemical citric acid, the orange soda manufactures its sour taste. Its sweet flavor comes from the high fructose corn syrup, a processed sweetener made from cornstarch, which is linked to life-threatening diseases like obesity and diabetes. Sodium benzoate, another food preservative in orange soda, is mixed in acidic foods, but is also found in medicines, cosmetics, and even fireworks. When sodium benzoate mixes with vitamin C (ascorbic acid), it can have adverse side effects if it forms into benzene, a chemical compound that is a known carcinogen. The colorants, the yellowish-orange synthetic chemical dye Yellow 6 and the orange-red synthetic chemical dye Red 40, are both linked to attention deficit hyperactivity disorder (ADHD) in children and possibly cancer in humans. In addition, Yellow 6 is linked to allergic reactions, gastric upsets, diarrhea, and vomiting. Brominated soybean oil is currently banned as a food additive by the European Union, Japan, and India, but is permitted in the U.S. and Canada. Excessive consumption of BVO has caused symptoms like memory loss, fatigue, loss of muscle coordination, and tremors. 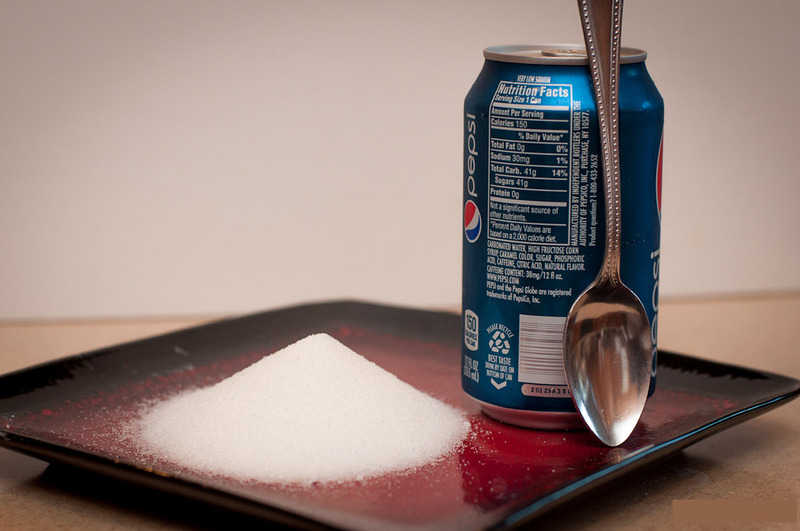 One can of soda contains about 40 grams of sugar, equivalent to about 10 teaspoons. One bottle of soda contains almost double that amount. And then there are vague terms, for which transparency is gravely needed. These ingredients make clear how a beverage like orange soda is not a drink but a conglomeration of chemicals. Normally, beverage is a term deployed for that gray area. Some would say, when they are killing us slowly. And still, we drink them all the same. Sure, the container of orange soda might appear bright and celebratory, like a party setting off to the sizzle of carbon dioxide released into the air after years of suppression upon unscrewing the cap. Yet even with the clear danger present in the ingredients, we are nonetheless ready and willing to partake in consuming our beverages. We believe the capitalists who tell us that ignorance is bliss. We revel in the modernity of our bottled beverages, when actually, modern consumers are generally lazy and low-information folks who are more discerning about social media profiles than health considerations. Traditional Africans–the likes of Imhotep, Shaka Zulu, or our progenitors at the University of Timbuktu–knew not of one soda, sports or energy beverage. We too should be mindful when a fox tries to pass off a beverage in drink’s clothing, and when we drink, only drink to our health. For me, since 20 years ago the doctors told me I couldn’t drink WATER. Can you believe it? So I searched and searched and searched. I drunk all kinds of beverages – from Club Beer to Star Beer, Coffee, Tea, Akpeteshie, Djendjen, Gugufon, Coconut Water, Milk, Cocoa Drinks. Finally, I settled. I only drink Pito! I think people call that Palm Wine. You will miss it. LOL. Pito is not Palm Wine or @Solomon! Pito is made from millet or something. Right. Pito can be served warm or cold. Warm pito gets its heat from the fermentation process. Pito brewing can provide an important source of income, my friend. It is only purchased directly from the household in which it is brewed. This makes it really fresh and powerful! You are right. What I meant to say was Nsafufuo! That’s all I drink brother! If it’s not filtered through the soils of Mother Earth then it’s bad for your health. What do I mean? I am referring to Water, and Natural Juices alone! Nothing prepared in the lab can be healthy. Nothing! Abi you know! Drinking be drinking. But the problem is though that too many people are so nonchallante about what enters their stomachs. I wonder, if people don’t care about what goes into their mouths how then are they supposed to be relied on to care about what is going to be president? #Donald J. Trump, John Dramani Mahama, Nana Addo Dankwa Akufo-Addo are Idiots. I drink everything from time to time. Myself, I like to think I concentrate on water a little bit more than the others.